Looking For A Full Coverage Concealer Kit? 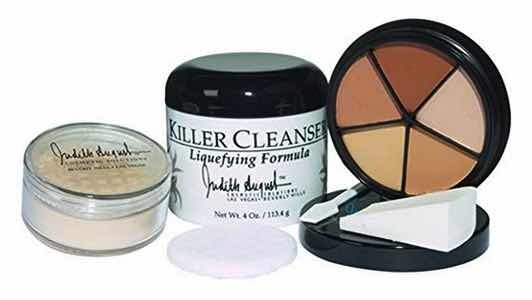 The Killer Cover Kit was designed as a singular solution to covering the most difficult discolorations such as birthmarks, age spots, bruises, port wine stains, scars, spider veins, broken capillaries, varicose veins, and vitiligo. Based on theatrical make up, this special formula succeeds where traditional concealers fail. Translucent All-natural mineral powder sets and finishes your camouflage makeup.